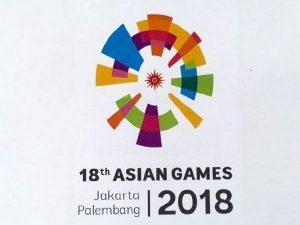 The 2018 Asian Games are drawing to a close in Jakarta, and Palembang, Indonesia. India’s Neeraj Chopra proudly carried the flag in the opening ceremony on 18th August. Just a few days ago, Chopra went on to win a gold medal in Athletics for the Men’s Javelin Throw. India currently holds the eighth rank when it comes to the 2018 Asian Games medals. With 65 medals in total, India has 13 golds, 23 silvers, and 29 bronze medals. Neeraj Chopra is the first Indian to win a gold medal for javelin. Along with the medal came a new national record of 88.06 meters. Along with Neeraj Chopra, India won a number of golds for athletics. Tajinderpal Singh Toor got gold in Men’s Shotput, and Manjit Singh in the Men’s 800 Meters. Arpinder Singh took the gold for the Men’s Triple Jump, and Jinson Johnson got his medal in the Men’s 1500 Meters. Swapna Barman won her gold medal in the Women’s Heptathlon. Bajrang Punia won the Men’s Freestyle 65kg wrestling gold medal, while Vinesh Phogat won the Women’s Freestyle 50kg gold. Rahi Sarnobat took good in the Women’s 25 Meter Pistol event. Saurabh Chaudhary won the gold in the Men’s 10 Meter Air Pistol event. The Men’s Quadruple Sculls rowing team won the gold medal, as did the Women’s 4 x 400 Meter Relay team. Rohan Bopanna, and Divij Sharan won the gold medal in the Men’s Doubles Lawn Tennis. India sent 571 competitors to the Asian Games 2018. The competitors included 311 men, and 260 women, who took part in 36 different sports. In addition to the competitors themselves, there are 232 officials who accompanied the players. The 2018 Asian Games ends on 2nd September 2018.